Slim and elegant in design the rubber coated Electra LED power bank offers a light up logo that changes colour based on the remaining charge in the power bank. Features include an A Grade Lithium-polymer battery with over-charging, over-current and short-circuit protection and the LED that changes colour from Green (100%-41% charge) to Blue (40% to 21% charge) to Red (20% to 0 charge). Suitable for smart phones, tablets, cameras and any other 5V DC powered device. Includes Micro USB charge cable and user manual. The Monte provides both wireless and cable charging options in one lightweight, rubber coated power bank. Powered by an A Grade Lithium-Polymer battery in 6000 or 8000 mAh capacity. It has Type-C and micro USB input, Dual USB outputs, LED capacity indicator and protection circuitry to stabilise the output voltage and preventing over charging and short circuits. Compatible with any smart phone meeting Qi wireless charging standard (e.g. iPhone 8, iPhone X, Samsung S8). Includes Micro USB charge cable & user manual. Polymer battery with 4000 mAh capacity. Features include built-in protection functions to stabilise the output voltage, prevent over charging or short circuit, touch screen and LED capacity indicator. Suitable for charging most devices, smartphones including iPhone, Samsung, HTC, Blackberry and Nokia. Includes USB to Micro USB charge cable and user manual. (smartphone/tablet not included). Colours: Black, Blue, Green, Pink, Silver, White, Yellow. Standard packaging in Black Two Part Gift Box. What can my Power Bank Charge ? First we must look at the capacity of the power bank. This determines what type of product you can charge whether is be a smart phone or tablet, how fast it charges and if it will give you a full charge or not. For example, a promotional power bank with a capacity of 2600 mAh allows an iphone 5 smart phone (battery size approx 1570mAh) to be fully charged, yet a Samsumg Galaxy S5 (Battery size approx 3000mAh) cannot be fully charged using the entire charge of the power bank. This also works the other way, where a power bank as 2200 mAh will not fully charge an iphone 5S because the voltage equation output is lower. Please note when using a small capacity power bank charger for your tablet or ipad, your device will never be fully charged, think of it as a top up charge when needed for emergencies. In this case you will need a higher capacity power bank to fully charge a tablet. 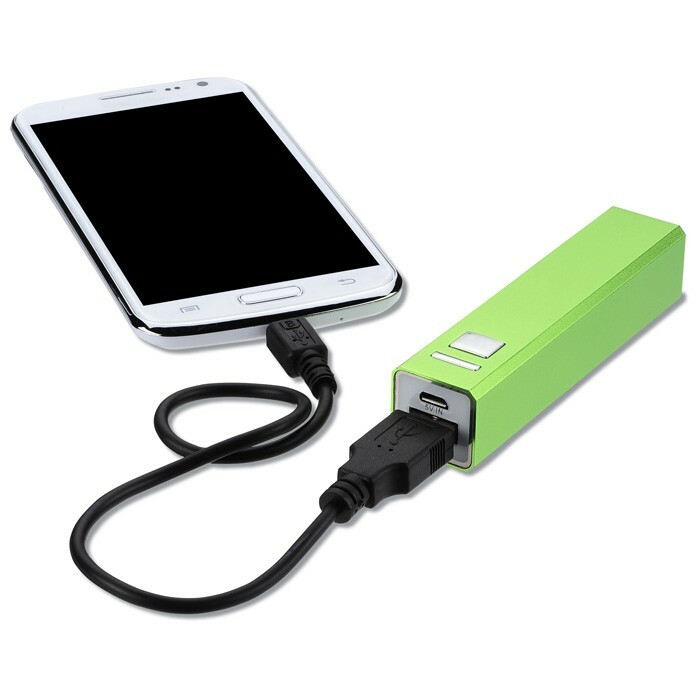 A higher capacity tablet power bank charger would look something like this: 10000 mAh or 15000 mAh. A Smart phone will be between 2000 mAh for a top up charge or 5000 mAh for a more complete charge. Talk to M & M Professionals about our Promotional Power Banks! We will ask the right questions so we provide you with the best charger for the right job.